Our kids love to help in the kitchen and there are all kinds of lessons to be learned from basic math (measuring ingredients) to following directions. They also learn patience as they wait for the dessert to bake. I have listed the ingredients in prepped form. A lot of the participation from the children is in prepping the ingredients, so I will describe that here. You can either crush the vanilla wafers in your food processor and have the children take turns pulsing (under supervision) or put the wafers in a Ziploc bag and have the children crush them with the flat side of a tenderizer or a rolling pin. The other prep task that children love to do is chopping the fruit. 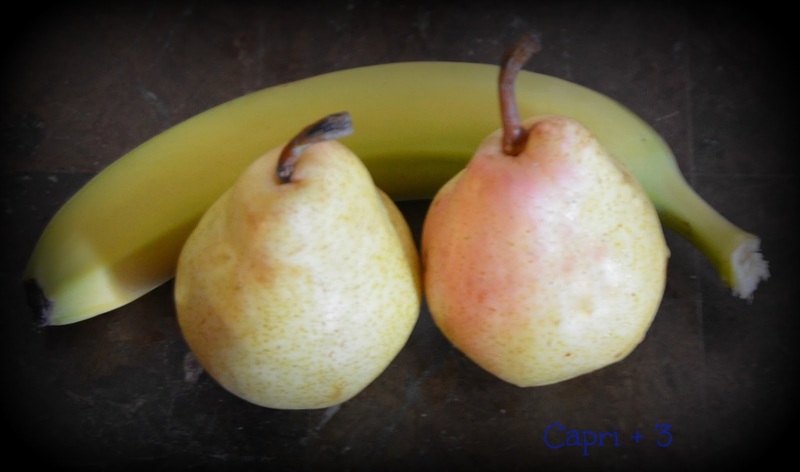 I peel the pears, cut them in half and remove the stem and core. Then, I have the kids chop up the fruit with butter knives. They can also peel and chop the bananas. We used two bananas to make a finely chopped cup. Spray the muffin tin with cooking spray. Combine the chopped pears and bananas in bowl. Mix them up with 1/2 teaspoon of lime juice. Distribute the fruit into the mini muffin tin. This made 22 desserts for us. Combine the crushed cookies and sugar in a bowl. In a separate bowl, add vanilla and two eggs and combine (beating eggs with a whisk or fork). Stir egg mixture into the cookie and sugar mixture. Then, add melted butter and combine. Finally, put equal amounts of the sugar cookie topping onto the top of the fruit mixture in the muffin cups, The fruit will be covered and you should be able to use all of the topping. Place the mini muffin tin into the oven for about 15 to `18 minutes until the topping is lightly browned and fruit is bubbling underneath. Allow to cool until the fruit is still warm (but not hot) and serve. Our kids loved their warm dessert treat. I think they felt like it was worth the wait. 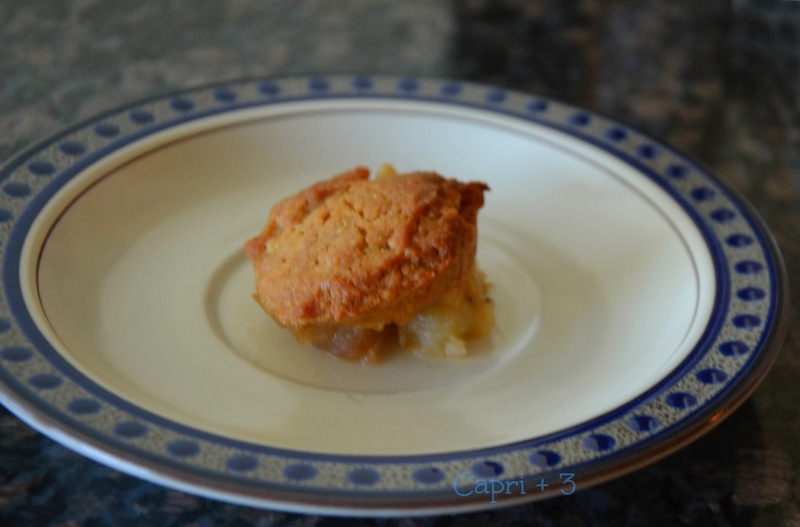 Let me know what you think if you try this recipe either here or on the Capri + 3 Facebook page. It was a hit with our family. Oh yummy! This looks like a fun one to do with the kids! This is a great recipe. My girls love to help cook and bake and would have a fun time helping make this yummy dessert. Yummmmmmy! These look so good! I am going to have to try and make them! Oh wow! This looks incredible! What a brilliant flavor combo! This sounds delicious! My daughter likes to bake but I'm hopeless at it. Always looking for new things to try!